SL Newser - People: Interview with DJ Keao, Creations Park's "Blind DJ"
Interview with DJ Keao, Creations Park's "Blind DJ"
Recently at Creations Park, a Keao Resident began DJing for events. This might not seem to be unusual, except for one thing. keao was announced by Creations as a "Blind DJ." Second Life Newser recently had a chance to interview her. Bixyl Shuftan: "First of all congratulations on your DJing debut." Bixyl Shuftan: "To begin with, well, blindness sounds like a pretty hard obstacle to overcome. How were you able to perform?" Keao: "Well, most people have a lot of stereo types about us, saying that we can't do anything at all. We can, with a lot of confidence, the willing to do something to prove them wrong, and the technical know-how. It takes guts and the skill to learn, and mostly on my part determination, and others as well." Bixyl Shuftan: "How did you first hear about Second Life?" Keao: I heard about it through one of my other friends who is totally blind, sadly, he doesn't come on, because he wants Second Life to be more operating system spread out. He wants things to work with google, plus windows, but he wants a client that is blindness accessible. I've been here for 4 months, and the possibilitys are endless." Bixyl Shuftan: "What kind of client have you been using to get on?" Keao: "I'm using a client called Radegast, we need more developers for it for sure, it's a text based client. It's lightweight. Do you know Celene Highwater? She is a Radegast mentor. I amaze her every time when I find cool places. She saw that I was determined to learn how to use Radegast, and how Second Life works. She always saw a lot of people who are gammers. Not much of the blindness comunity knows about SL." "This is my place, by the way, that Barbie created for me to have a home in Creations." Bixyl Shuftan: "Looks nice. (smile)"
Keao: "You bet, and if you need pictures, we can go up to the dance club." Bixyl Shuftan: "If you like." Keao: "Ok, I'll teleport you." We then headed to the dance area in question, at (120/138/4056). There happened to be two couples there, dancing to the music stream. Keao headed to the DJ booth. Keao: "I've been doing live broadcasting on internet radio for almost five years now on different stations in real life." Bixyl Shuftan: "That's interesting. How did you get your start there?" Keao: "It started in 2004, when I heard one of my good friends who has his own production company broadcast a show called northern lights, I couldn't believe that other djs who are blind got the technology to do it from there own homes. At the time I was about 14, and in high school, my dream was that I wanted to be on radio somehow. Here in Hawaii, you can't do it in a studio nowadays without going to a school. What I did was I tuned in to an internet station called ACB Radio Interactive, and instantly I was amazed, a lot of these djs are vollenteered to do it for free. It opened a lot of doors for me. My fiancee in real life is a ham radio operator, I know a lot of blind friends who do ham radio work who are blind and visually impaired." Bixyl Shuftan: "What are some of the stations you've performed on?" Keao: "Some of them are mostly ran by blind people, some of them are Team FM from the UK, Top Tunes FM which is from the same state, Mint FM for a while, Mojo Radio which was my first station, Radio Free Dishnuts, The Global Voice, Radio For All, and Tree House Radio, ruted in great music. The ones that are no more are Top Tunes FM and Team FM. The one that are still going is the Global Voice You can check out our site at www.theglobalvoice.info and treehouse radio, it's www.treehouseradio.com . The Global Voice is run by a lot of blind people, and we have some sighted people. Not a big number, but what they do is they help us on either youtube or facebook or twitter stuff." Bixyl Shuftan: "Did it take long to find a place in Second Life to DJ?" Bixyl Shuftan: "Where did you find out about Barbie and Creations Park?" Keao: "I found about about her and Creations Park one day by attending a poem reading event that they have weekly here up in the tree house. We started talking about her mom, she was blind when she was a little younger. Creations Park has given me the opportunity to be creative and to be free, I am somewhat of a shy person. This place changed my life in a lot of ways." Bixyl Shuftan: "Nice, in what ways may I ask?" Keao: "Let's see. ... It has made me a much observant person, I can sense people by the way that they act, and how they are around each other in real life, even by their personalities. I can tell that a lot of people who I know in real life I don't want to get along with at all or who are trust worthy." "My goal in real life is to become a massage therapist. The hard part is finding the right school, and to always do a great interview." Bixyl Shuftan: "A massage therapist? What inspired this goal?" Keao: "I can see peoples hearts." Bixyl Shuftan: "Besides Creations, do you DJ anywhere else?" Keao: "Nope, only here. I see Parkinsons as a disibility in a way, when Fran moves around as her avatar, she knows that she can do things. I can see myself in the same way." Bixyl Shuftan: "Besides DJing, what else do you do in Second Life right now? I think you mentioned going to places." Keao: "I am also the music manager here for Creations. I help find good singers and performers. I have a few in mind who are big names up in Second Life." Bixyl Shuftan: "Oh? Whom may I ask?" Keao: "Voodoo Shilton, Stephanniyah Sinatra, Liz Aday, Parker Static, Long Paush, The Balladeer, and Savannah Coronet. And also Caasi Answer. Oh, and one more, Sara Marie." Bixyl Shuftan: "Besides this, did you have any future plans in Second Life?" Keao: "Through voodoo's group, I've met a lot of great people who accept my disability. I've met a lot of friendly people who are willing to help me out." Bixyl Shuftan: "Was there anything else that you wanted to mention?" 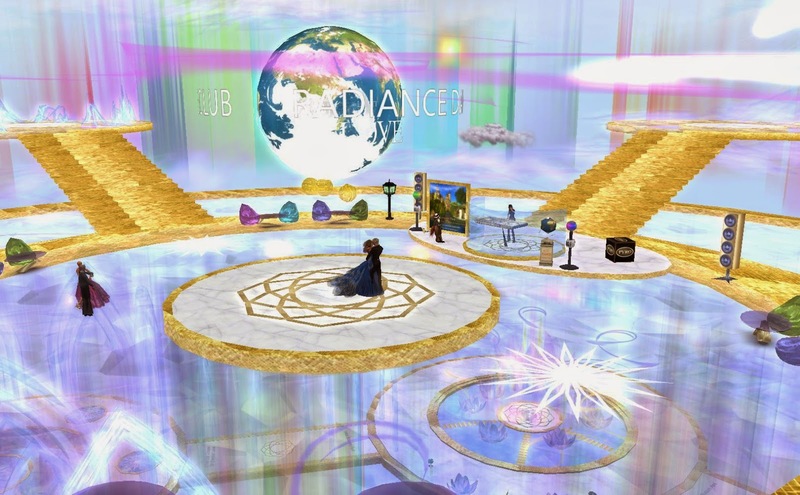 Keao: "Oh, I forgot to tell you that when I got started in Second Life, I started out in a place called Virtual Ability Island. They have a lot of people with different disabilities." Bixyl Shuftan: "How did that go?" Keao: "It went really well. Most of them helped me out with a lot of the clothing and outfits, and the visual stuff (laughter). And wardrobe malfunctions. So Barbie helped me link outfits together, so it will be easier visually, and I know what I'm wearing (laughter)." Bixyl Shuftan: " 'Wardrobe malfunctions?' Heh, have those been a problem?" Keao: "Oh yes! You should have seen me when I was at the Oceana ballroom when I first started out. I had no idea I was naked! (laughter) Until someone helped me get a gown." Bixyl Shuftan chuckles, "Have you tried other types of avatars, such as furry or dragon?" Keao: "For the longest time I was at the Ballroom, (I) didn't know what other sims were out there until I found Creations Park, and also a popular club I go to at nights called Rise after Dark." "I have a tiny avatar that is a dog. I would love to get a dragon one of a fairy." Bixyl Shuftan: "I guess that's about everything. Thank you for your time, and good luck (smile)." You can catch Keao perform at Creations Park. Drop by to get a schedule of her performances. Addition: Keao contacted me after the interview. She told me she wasn't just legally blind as I first assumed, but, "I am totally blind, I forgot to tell you. I can't see anything at all." To get about Second Life, she uses, "an open source screen reader called nvda. It's non visual access desktop. It reads in speech, and converts everything in to text." When asked if typos are a big problem for it, she told me it's not, "it doesn't care if you use wrong spelling." She went on more about her real-life plans, "I wanted to become a massage therapist because I've been using esental oils, and I would love to learn more of the techniques. Also, the practice is good in Hawaii, a lot or some blind people want to do that hobby. It's the number one career because it deals with hands and I would love to learn more of the techniques."